The Biblical Ruth, the great-grandmother to David, was a lovely and virtuous Moabite woman who abandoned her people and her god to accompany Naomi, her mother-in-law, back to Bethlehem after the deaths of their husbands. At the time of the story, the Moabites represented the worst of outsiders to the Jewish congregations. The circumstances of Ruth’s acceptance into this restrictive community afford a plea for the brotherhood of man that is also very applicable to our time. I cannot recommend this book too highly. Of all of Asimov’s books on the Bible, this is the most overtly moralistic. Words in Genesis and Words from the Exodus are collections of etymologies; Asimov’s Guide to the Bible provides historical background for the reader. The Story of Ruth, on the other hand, makes a point, a point which (I believe) is fundamental to the message of the Bible, and a point which Bible-believing peoples have been spectacular for ignoring for thousands of years. And I’m not going to tell you what the point is, because you’ve got to read the book. 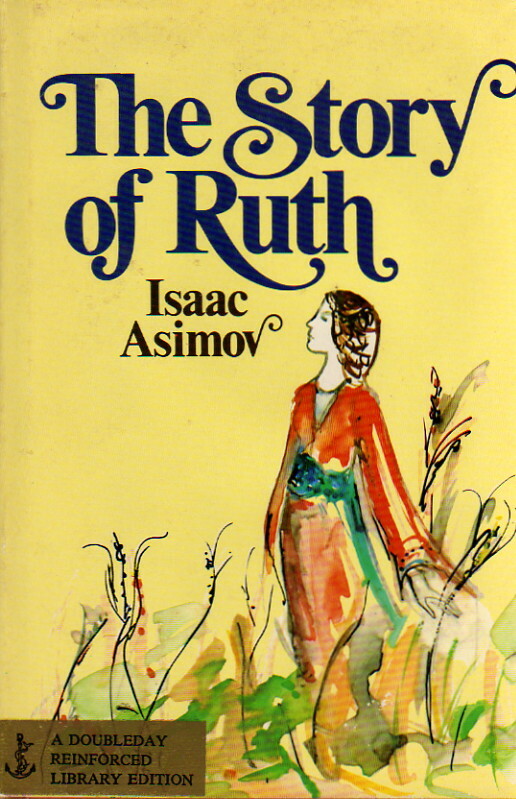 Now, it is true that the historical background Asimov assumes for the writing of the book of Ruth (which is, by the way, what this volume is about), while more or less standard, is by no means certain and uncontroversial; and yet I would consider that immaterial. The lesson that Asimov draws from the book in no way depends upon its being written at a time when Ezra, the first scribe, and Nehemiah, the Jewish governor of the Persian district of Judah, were forcing Jews to divorce their Gentile wives in the name of racial purity. The lesson is universal, and transcends Judaism, Islam, Christianity, or any religion or historical setting. This book is a must-read for an awful lot more than just fans of Isaac Asimov.